This smartwatch does everything your smartwatch does and at just about half the price. Or at least that's the sell of the Ticwatch 2, from Chinese tech company Mobvoi which comes with Google's firm recommendation. 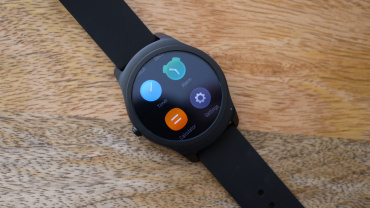 It packs every big feature you could ask for from smartwatches in 2017 into a light, slim, inoffensive watch that's available in a range of materials and styles. It keeps things simple, it's compatible with both iOS and Android and brings new ideas that gives Android Wear some real competition. And it's $199, which is, probably by no coincidence, the price that comes up time and time again in surveys of how much people want to pay for a smartwatch. So is there a catch? The watch raised $2 million on Kickstarter last year and actually shipped but there are no unpleasant surprises from the Ticwatch 2. (Aside from the matter of us not being able to test the GPS yet, more on that below). 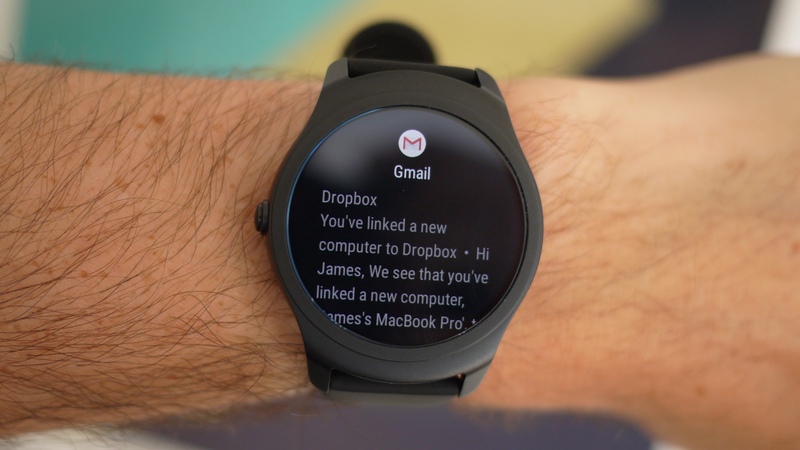 Read on to find out whether you should buy the smartwatch you've (probably) never heard of. The 1.4-inch display is surrounded by a thin bezel which makes the whole face look nice and modern. And with everyone from Huawei to Samsung going beefier on flagship smartwatch designs, it's good to see another slimmer, sleeker minimalist smartwatch design too. This is not a chunky build but it's not so slim that Mobvoi couldn't pack it with tons of features either - it's actually one of the best compromises of form and function we've seen yet. 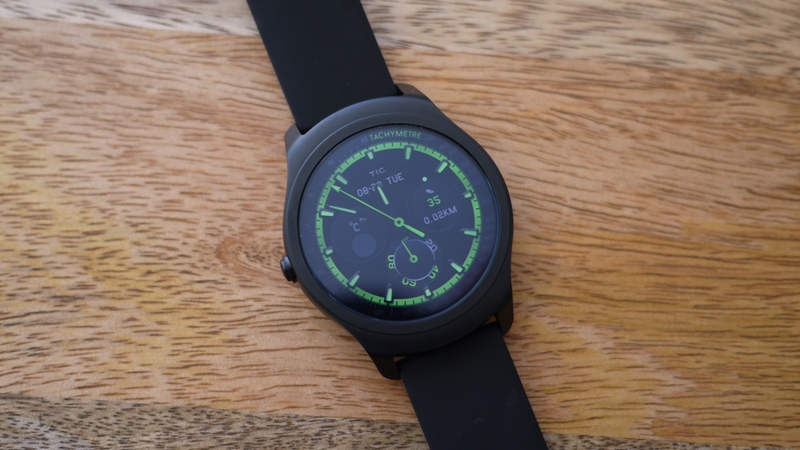 The Ticwatch 2 is also seriously light, deceptively so. When you first pick it up, it feels less premium than other weighter watches, but once it's on the wrist, you'll be very happy at your choice. It feels barely there, as it should, and it's comfortable too. At least with the aluminium model, but do be careful as we managed to slightly chip the bezel in just a week of wearing it. A small blemish, but annoying when you're looking down at it throughout the day. Back to the look and feel of the Ticwatch 2, it features a brushed metal bezel, which looks fairly premium, even if that's not really translated through the feel of the device. The model we tried out is the $199 aluminium Active version but there's also a more expensive stainless steel Oak watch for $249 and the Onyx in black stainless steel for $299. Now, the metal part of the Ticwatch 2's bezel is a thin veneer and ends halfway down the casing side, below which lies the Tickle strip - this lets you to control the smartwatch by stroking up and down with your finger. Again, this is an awesome addition. You have to stroke more forcefully than you first think and the smooth side of the watch body feels a bit off, but once you get used to it it's a lovely way to scroll up and down WhatsApp messages, menus and app screens. The onscreen graphic shows how your action will control the watch too so you always know what you're doing. The crown button is switched to the left hand position by default but you can set the Ticwatch up for left and right hands with the single button on either side. 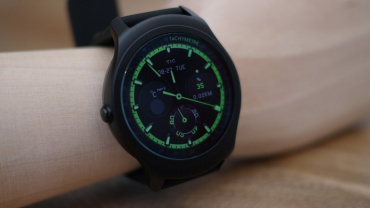 The screen is easily the standout feature of the Ticwatch 2. A 400 x 400 OLED panel with an impressive 287ppi, it's sharp, vibrant and bright, and the colourful TicWear 4.0 interface is certainly eye-catching. It looks lovely whether you're reading text from Flipboard or looking at background images for podcasts or music, plus it's easy to read in broad daylight and indoors. Now, it's not quite a crisper-than-crisp 303ppi Apple Watch Series 2 screen, but then again that watch is pretty much double the price of this one. We've seen some underwhelming smartwatch screens and this is not one of them. 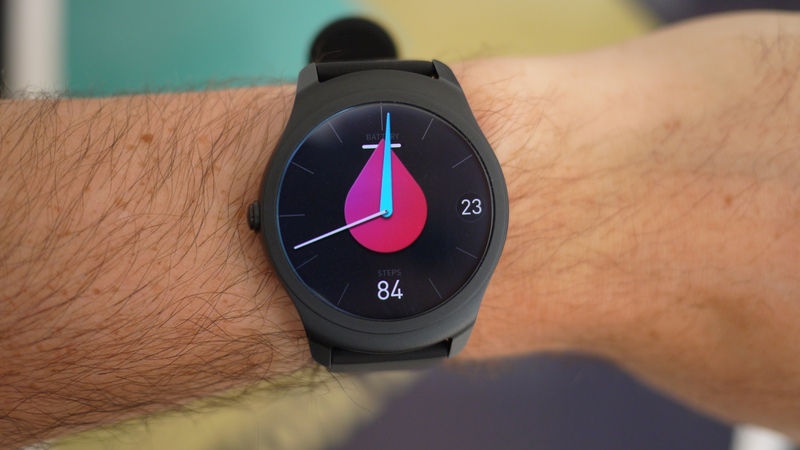 Ticwear is based on Android and it's pretty similar to Android Wear, at least the pre-2.0 iterations. There's nothing too radical here, aside from the Tickle strip interactivity, and that's totally fine. As well as the step counting and fitness features (see below), this will mainly be used for smartphone alerts and this includes apps like WhatsApp and Facebook. You can read them in full and choose from a couple of icons to dismiss, reply to messages or open on phone. There's a bunch of watch faces, some with complications like the date and local weather, some showing activity stats. And if you swipe down from the watch face there's a well-thought-out series of quick access screens like quick settings, weather, music player and on-demand heart rate. Performance when switching between apps and handling alerts/replying to messages is good so we've no major complaints here, though there can be a delay of a second between the haptic buzz and the alert showing on screen. Connectivity is solid, too, on Android - we've heard some complaints from iPhone users around the web, so hopefully Mobvoi is working to address this. Voice controls can be turned on in Settings/Preference. The command is "OK Tico" and it uses Mobvoi's voice recognition software which is very accurate, impressively so. This is the voice software Android Wear uses to replace Google's in China and we can see why. The only problem is that actually picking up the "OK Tico" command is hit and miss, once you're in then it's picked up everything we've said. You can swipe left from the watch face to access voice too. 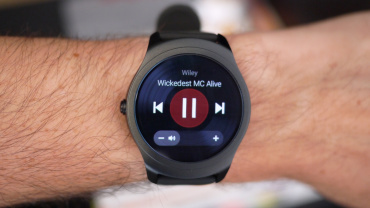 As there's a speaker, the Ticwatch will make more noise at you than you might expect - we turned off the default beep for messages, and bear in mind that the default for voice queries, like asking for this week's weather report, is to read out the answer to you as well as display it on screen. 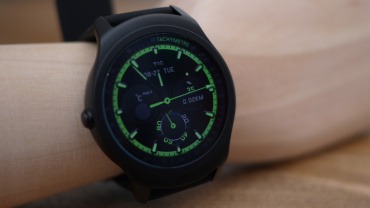 The Chinese version of the Ticwatch 2, which was designed by Frog, features an eSIM for 3G connectivity, but the technology won't make it to the global version. That said, the watch has both a mic and a speaker so you can take calls via Bluetooth when your phone is nearby and talk into the watch. It works fine but it's up to you if that's something you want to do at home or in the street. There's also a dialler with favourite contacts then a full list along with call logs. Overall, a pretty complete set of features and since the watch shipped to Kickstarter backers in late 2016, Mobvoi is pushing regular updates with features like Do Not Disturb and tweaks to built-in apps like the calendar. Another biggie: Mobvoi says smartwatch payments are coming soon to the global watch also - supported by the onboard NFC. 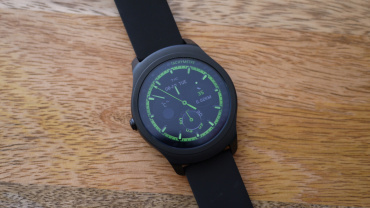 First things first, we haven't tested out the GPS run tracking on the Ticwatch 2 yet but we will be updating this review as soon as possible when we do. Currently, when we hit 'GO' to start a GPS tracked run, both the fitness and health apps crash, so it's not possible to test. Mobvoi's rep told us that the fitness features are still "in a testing period" and that an update for the sport and fitness features is coming. For now, there are health and fitness apps pre-installed on the watch and if you go into the companion app settings, you can choose to hook these up to Google Fit, Runkeeper and Strava. Step counting was consistent day to day and within 10% of the Fitbit Alta. In health, you can see your daily steps and in a weekly chart, tweak your daily step goal and also set stand up goal reminders, for instance, during working hours. That's a useful extra but weirdly the watch buzzes and the reminder doesn't always show up on screen - it's right there when you scroll down to notifications but otherwise I was left wondering why the Ticwatch had buzzed. The on-demand heart rate monitor (which you can access via the quick settings) is accurate - it's the same sensor that's on the Apple Watch. But it's also a bit strange in that it doesn't just give you one reading, it keeps tracking your HR as it fluctuates until you pause the session. Shrug emoticon. Over in the fitness app, that's where you can track outdoor runs, outdoor walks, indoor runs, cycling and freestyle workouts (designed for the gym) with built-in GPS and the heart rate monitor. As we said, we'll be testing all that out properly soon. 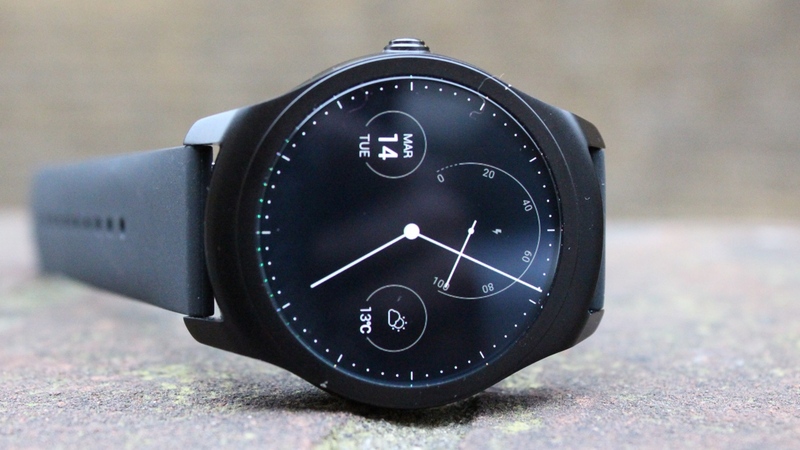 You can run third party apps on the Ticwatch 2 but we wouldn't buy it with this in mind, at least not yet. As with most fledgling smartwatch app stores, right now it's mostly watch faces and a smattering of obvious apps which are simple but work well - torch, to-do list etc. It looks like most are free at this stage and the global store is grouped into watch faces, social, tools, health & fitness. There's only one app a piece in social and health and fitness right now but we're sure that will grow. As yet, there are no big app names. If you're confused about how to access the store, the way we got it going on Android was to go to Settings on the watch itself then click Mobvoi app store in the list. Follow the instructions to open it on your phone then click to download the global app store. (You will probably have to authorise non-Play Store downloads on your phone if you haven't done this already). Then you can access it via the App Store button in the companion app. Also worth noting is that there's a Sync Apps button on the settings tab of the companion app - you don't access the app store on the watch, as with Wear 2.0, but instead download to your phone then sync across. They then appear below the standard apps in that menu screen. One small note: on a couple of apps, we got a pop-up message in Chinese, clearly a hangover from the Chinese Ticwatch 2. If we're talking about how long you'll get out of the Ticwatch 2 comfortably and not worrying about tweaking down brightness, it's essentially all day/just over a day. The 300mAh battery inside can last up to a day and a half max, obviously depending on whether you'll use the GPS or not - more on this when we've retested with all the fitness features. Essentially, even though people like us have put the Ticwatch 2 in lists of Pebble alternatives, stamina isn't an area where Mobvoi is really focusing on besting the competition. Again, let's remember the price here too. An impressive all-rounder at just the right price. If you’re willing to forego apps and put up with a small amount of effort to get up and running, the Ticwatch is an absolute steal. Look out for our review of the GPS and fitness features soon. If Mobvoi has managed to do this well, it could shift much, much more than the 10,000 Kickstarter watches. I know this is an old post, but I would like to know what the name of the Watchface is on the first picture and how do I get it? This is the worst watch I've ever owned. There is no consistency with the software. You have to sign up for different email apps and different text apps. I learned most of the troubleshooting from Reddit. The touch screen is now not working 100%. so you can't use the watch for phone calls, send texts..anything because the touch sensor is not working. Was of money, and sadly, a waste of my time trying to get the think to work. I had maybe 3 days that's it worked. Do NOT waste your money. You can not work around the watch to work correctly.